How long has your Etsy shop been open? Since July 2006, but until September 2007 I only listed two items. How did you get into crafting? I’ve always been a crafter. In December, I chronicled my crafty upbringing on my blog. Check here to read the posts. How did Etsy come into your life? I stumbled upon it while looking for bookbinding supplies. I checked it out for a couple of days then signed up. I admit, I’m an Etsy addict now. What was your involvement in the crafting world before stumbling upon Etsy? Mostly, I just made things for myself and my family. I didn’t really sell many of my crafts before Etsy. Do you have a day job? sigh Sadly, yes. LOL I work for a CPA so due to tax season from January–May I don’t get to craft as much as I would like. Tell us about your shop: Does anyone help you? I have a couple of kitties that help me. I sometimes take a photo or two of their “help”. Other than that, it’s just me. What advice would you give to newbies on Etsy or in the crafting world? Make what you love, not what you think will sell. What's the most challenging part of your crafting? Stopping… Once I start a project I don’t want to stop, even if it takes me all day. Do you show your work locally? My work is available at the Appalachian Arts Center which is located near Richlands, VA.
How did you get interested in bookmaking? I was part of a program through my local college that was a pilot project granted by Handmade In America. The program was an Artisan Trade Apprenticeship where I studied under Robyn Raines. My apprenticeship was very intense but I loved every moment of it! I’ve known Robyn most of my life and it was such an honor to work under her. How long have you been crafting? Bookmaking? 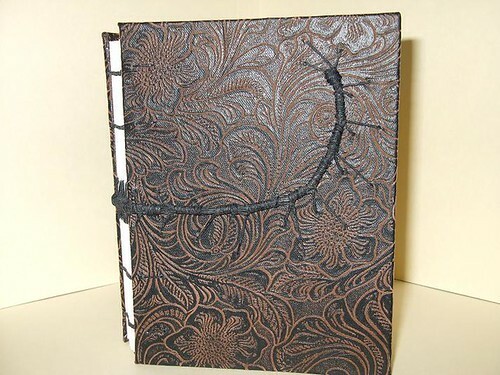 Crafting all my life, Bookbinding since June 2006. What is your favorite stitch/technique? My most used is the Coptic stitch but my favorite is the Centipede. What is the one tool or supply that you couldn't live without? Bone folder. I carry it everywhere; no lie. 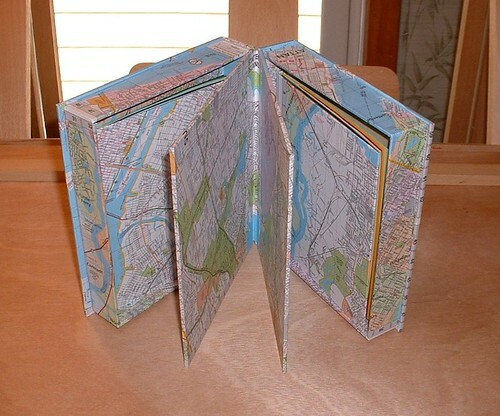 Materials you use for your books? Anything with bright funky colors. 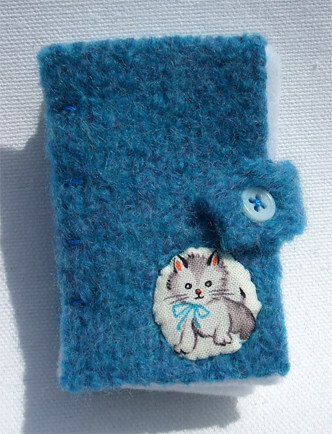 I recently started offering needle case books in my shop where I have combined my love of fiber arts with bookbinding. I’m currently exploring using recycled materials. What inspires you? Color. I love all colors but I tend to be sucker for bright colors. Who is your crafting hero? My mentor and friend Robyn Raines. Her work can be found in the books 500 Handmade Books and Penland Book of Handmade Books. Guilty pleasure? CSI marathons… I’ve seen them all a dozen times but I just can’t help but sit and watch for hours when they are on. I'm glad you're a part of my life. It was a great reading, Cassie! Thanks for sharing a bit of your world with us Cassie! great interview, love your creations!